Naturally, as a Public Relations executive, I believe that words matter. What we hear on the news is believed; and sometimes the media creates the news trends that influence the masses. Ads, social media, news, and yes, political candidates use words that are meant to persuade, manipulate and stimulate us. Donald Trump understands that well; we saw the White House, the Democratic Party, many Republicans, and countless world leaders voice outrage when Trump proclaimed that Muslims should not be allowed into the United States until the dangers of Islamic terror can be “figured out.” Frankly, he was rightfully criticized. Suggesting that America should openly discriminate against any race, religion or culture goes against the nature of what America was founded on. Yet, how many public leaders, both in the United States and worldwide, ever express that same outrage at similar policies when it is against Jews and Israelis? It is a fact that Israelis are banned from many Arab and Muslim countries such as Algeria, Bangladesh, Brunei, Iran, Iraq, Kuwait, Lebanon, Libya, Malaysia, Oman, Pakistan, Saudi Arabia, Sudan, Syria, UAE, and Yemen. In addition, Iran, Kuwait, Lebanon, Libya, Saudi Arabia, Sudan, Syria and Yemen will not permit anyone in who has visited Israel. The U.S. military suggests that its Jewish servicemen and women conceal their religion while stationed in certain Arab countries. Last week in New York, a visiting Israeli Arab Knesset Member, Ayman Odeh, Chairman of the Joint List of Arab Parties, refused to speak before a meeting of the Conference of Presidents of Major American Jewish Organizations because the Conference’s premises are shared with groups that support Israel. Then, on Sunday, at a symposium sponsored by Haaretz and the New Israel Fund, the Israeli flag was removed to accommodate PLO Secretary-General Saeb Erekat’s requirement to appear. Erekat, the chief negotiator for a peace accord with Israel since, would not speak with an Israeli flag present. Xenophobia is only an issue when the aggrieved party is not Israeli. Similarly, those who oppose Israel draw on words like “refugees” and a phrase like “right of return” to show Israel as uncompromising, and even insincere in its desire for peace. Little is ever said about the hundreds of thousands of Jews who were forced to flee from Arab states before and after the creation of Israel, and no one demands Jews be compensated or returned to the lands they were forced from. In 1945, close to one million Jews lived peacefully in the various Arab states of the Middle East, many of them in communities that had existed for thousands of years. From 1947 to 1948, Jews in Algeria, Egypt, Iraq, Libya, Morocco, Syria, and Yemen were persecuted, their property and belongings were confiscated, and they were subjected to severe anti-Jewish riots instigated by the governments. In Iraq, Zionism was made a capital crime. In Syria, anti-Jewish pogroms erupted in Aleppo and they froze Jewish bank accounts. In Egypt dozens of Jews were killed by terrorism, in Algeria, anti-Jewish decrees were instituted, and in Yemen nearly 100 Jews were killed in pogroms. Between 1948 and 1972, more than 200,000 Jews found refuge in Europe and North America while 586,000 were resettled in Israel without any compensation from the Arab governments who had confiscated their possessions. The majority of the Jewish refugees left their homes penniless and destitute and with nothing more than the shirts on their backs. Will the same people demanding that Israel solve the Palestinian refugee crisis and extend compensation and the right of return do the same for Jews? If Trump’s words are alarming, the same words should be disturbing when used against others. The words and deeds against Israel are laced with prejudice. And as much as we say words matter and cry foul when they are used in ways that offend certain sensibilities, the fact is that deeds matter even more, and one’s deeds can speak volumes about the way we use words to shape agendas and politics. 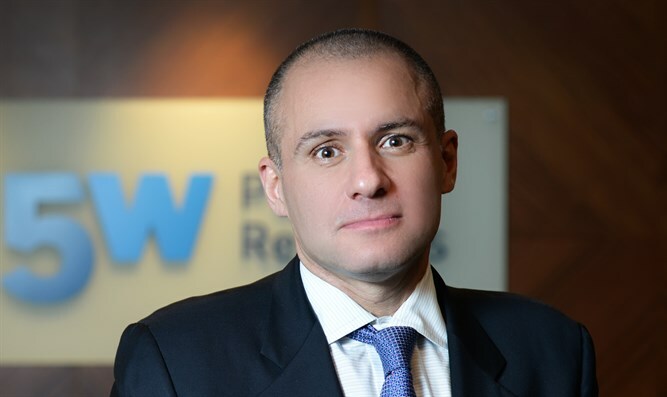 Ronn Torossian is the CEO of New York based Public Relations Firm, 5WPR.